By the middle of next year, there won’t be a plastics business at One Plastics Avenue. That well-known address in Pittsfield, Massachusetts, was the home of GE Plastics, which in 2007 was bought by Saudi Basic Industries Corp (Sabic) and renamed Sabic Innovative Plastics. On October 8, officials with Riyadh, Saudi Arabia-based Sabic announced that the firm is dissolving Sabic IP – one of the world’s largest polycarbonate makers – and is closing Sabic IP’s Pittsfield headquarters. Some of the 300 employees in Pittsfield will transfer to Sabic offices in the Houston area, officials say. The company is still evaluating the fate of Pittsfield’s Polymer Processing Development Centre. 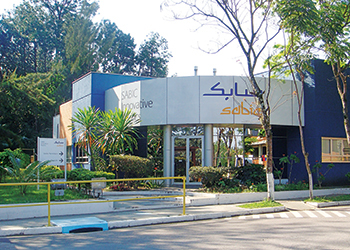 The PPDC has been a showcase for Sabic materials and cutting-edge plastics processing technology since 1989. Officials say that Sabic IP’s commodity products will be placed in the parent firm’s Chemicals and Polymers unit. Remaining Sabic IP products will be in a new specialities unit. "Along with the Performance Chemicals (strategic business unit)…the Innovative Plastics SBU will cease to exist," officials say. No information was available as to which Sabic IP products will be commodities and which will be specialties. In addition to Lexan-brand PC, Sabic makes several speciality resins including Noryl-brand PPE, Ultem-brand polyetherimide, Cycolac-brand ABS and LNP-brand compounds. Sabic spokesperson Jodi Kennedy says it hasn’t yet been decided how many Pittsfield employees will be asked to transfer to Houston. She adds that there’s no timetable to decide what will happen to the PPDC. Kennedy also said that the business reorganisation was not connected to the decision to establish Houston as Sabic’s regional headquarters and, as a result, close the Pittsfield office. The new office structure is expected to be in place by January 1. Sabic IP veteran Greg Adams – the firm’s vice president of industry marketing and strategy – is leading the transition effort. The business that is now Sabic IP has been based in Pittsfield in some form since 1903, when General Electric Co bought the Stanley Electric Manufacturing plant there. GE began making phenolic plastic resins there in 1909. GE’s employment numbers in Pittsfield – including aerospace, transformers and related businesses – peaked at 13,000 in the 1940s. "Exiting the Pittsfield site was a logical yet very difficult business decision, knowing the important role our business and people have played in this community over the years," Sabic vice president and acting CEO Yousef Al-Benyan says. "As Sabic continues to expand in the Americas, we need many of the talented Pittsfield employees to be part of our strong regional team," he adds. Sabic has three locations in the Houston area. The firm – majority-owned by the Saudi government – is a global leader in polyethylene and polypropylene production. Sabic officials publicly have said the firm is interested in a North American investment or joint venture to take advantage of newfound supplies of natural gas in the region that can be used as a plastic feedstock. Sabic’s decision to leave Pittsfield "is truly the end of an era," says Jim Allison, president of AH&M Marketing Communications in Pittsfield. "But corporations need to make difficult decisions to strengthen their competitiveness, which is exactly what Sabic has done." Allison worked for GE Plastics in Pittsfield from 1984-88. His firm then did communications work for GE Plastics and Sabic IP for more than 20 years.